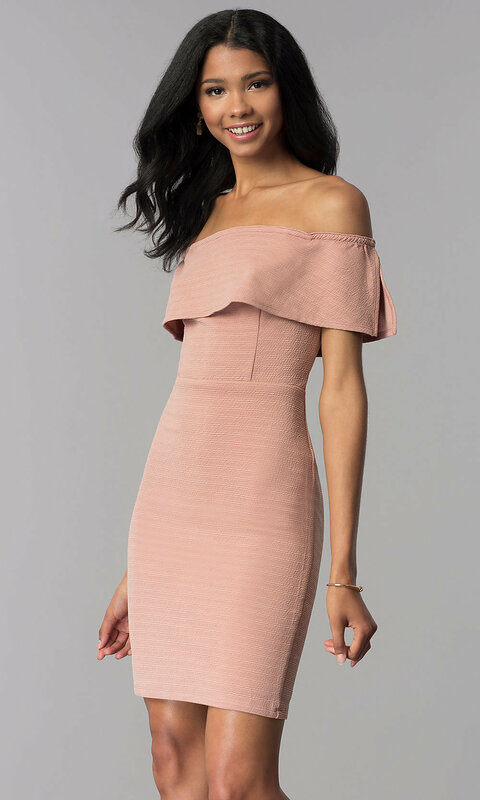 In a soft blush pink, this short wedding-guest dress contours the curves in a soft ribbed jersey knit for a contemporary look. 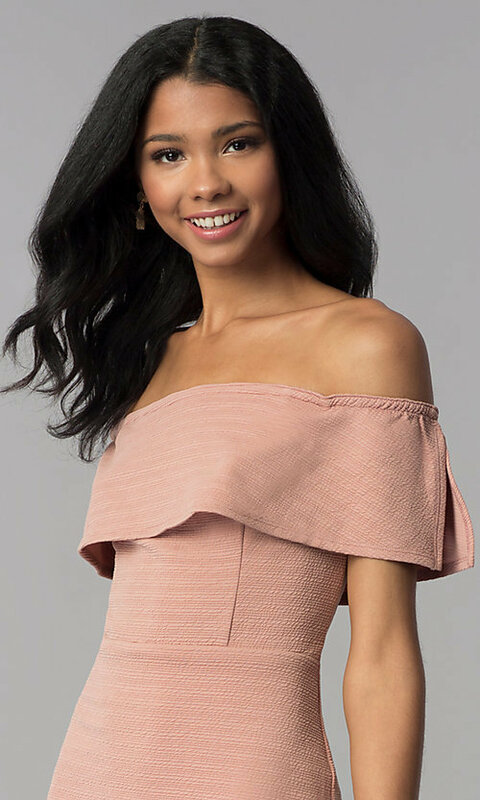 In hot pick for cocktail parties or girls' nights out, this charming bodycon dress, under $50 is as cost effective as it is beautiful. The off-the shoulder party dress features a ruffled flounce that wraps around the arms to provide added coverage. Slits at the shoulders and back allow freedom of movement, while silicone non-slip tape along the bust helps to prevent wardrobe malfunctions. A hip-skimming short pencil skirt completes the look of this lovely short wedding-guest dress that showcases your silhouette for an impressive look at semi-formal events.